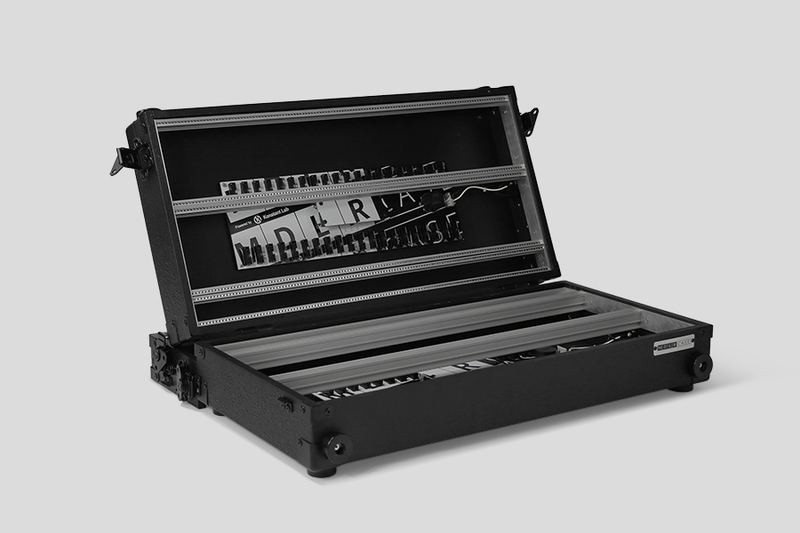 Welcome to the new MDLRCASE portable Eurorack case; the 12U 104HP Performer Series. 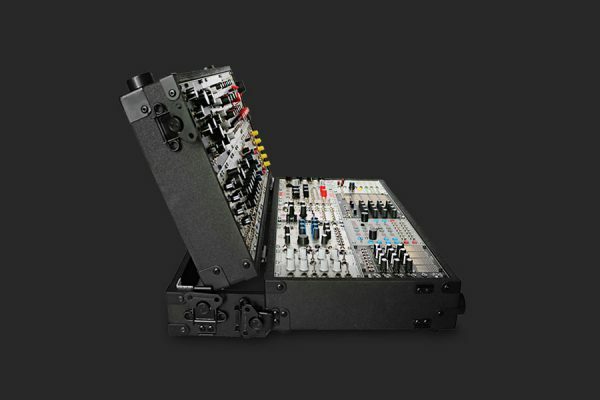 We’ve been listening to modular artists and believe this new MDLRCASE offers the best solution for those in need of a flexible portable case. 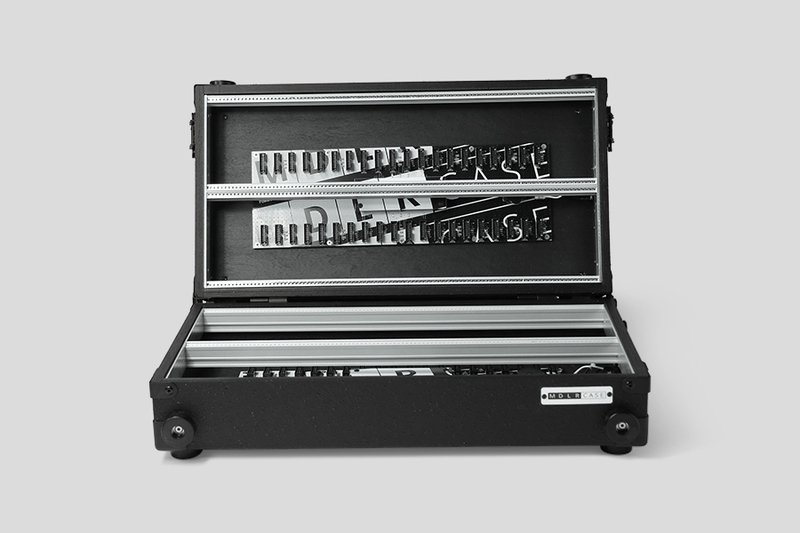 Using a detachable middle “ring” allows you to patch your rig and leave it patched before heading to your next gig, it also functions as a rock solid stand giving you the perfect angle to access your modules during your performances. 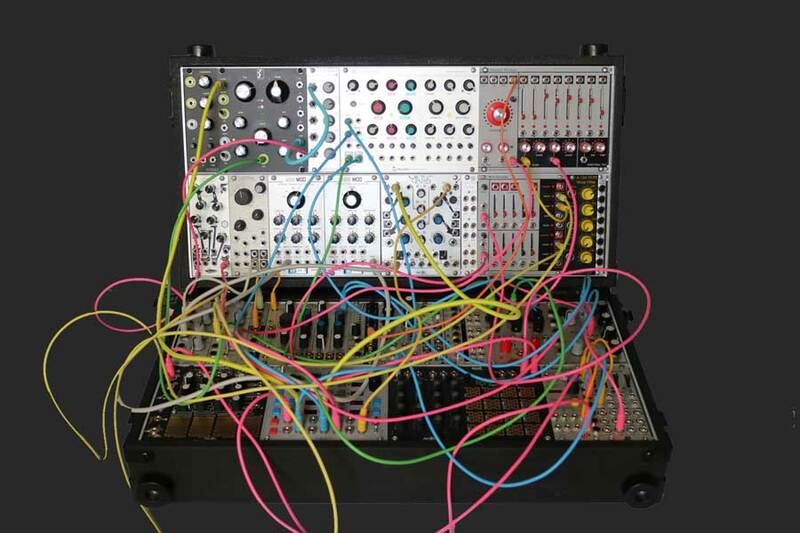 By using this design where the modules are not sitting deep in the case, you have full and easy access to all your beloved modules. Starting with reliability in mind we build our cases with Penn Elcom components for maximum durability and apply a two-component coating solution that adds an extra layer of protection to your serious investment. 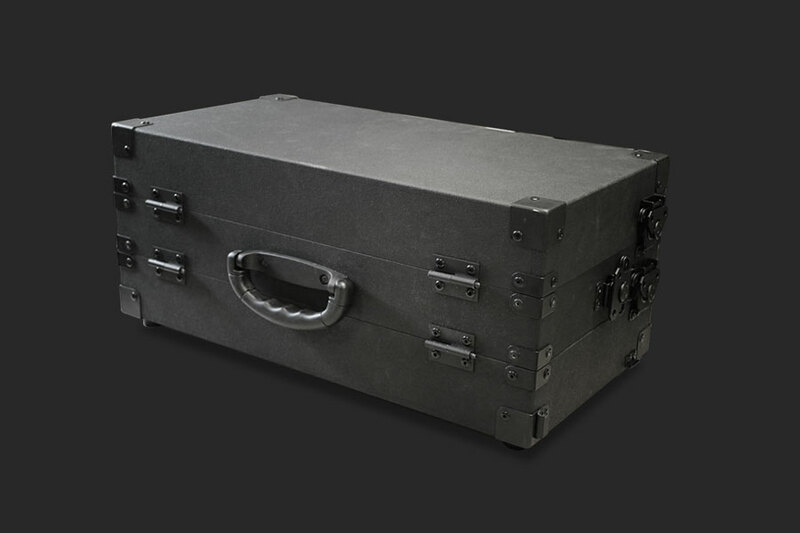 We want to make sure your gear is working great in the studio or at a live event. 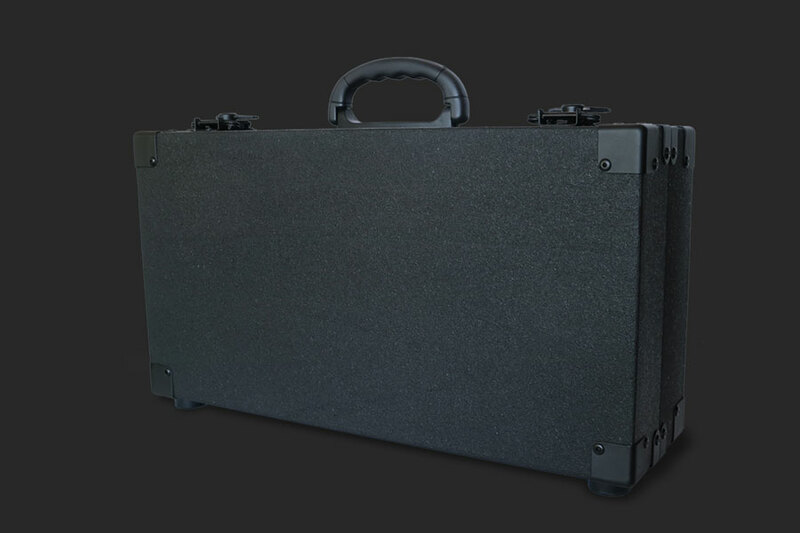 MDLRCASE offers our customers two power options; the more “juicy” Doepfer PSU-3 for the power hungry or the Meanwell RT65B for the budget aware who may not have huge power requirements. The 4 busboards in this case offer the ability to connect 78 modules so you’re always sure to have all your popular creative tools on hand. Place your order today for the new 12U 104HP Performer and get out there to show the world what these wires and knobs are all about. Handmade case, fully nailed and glued construction. 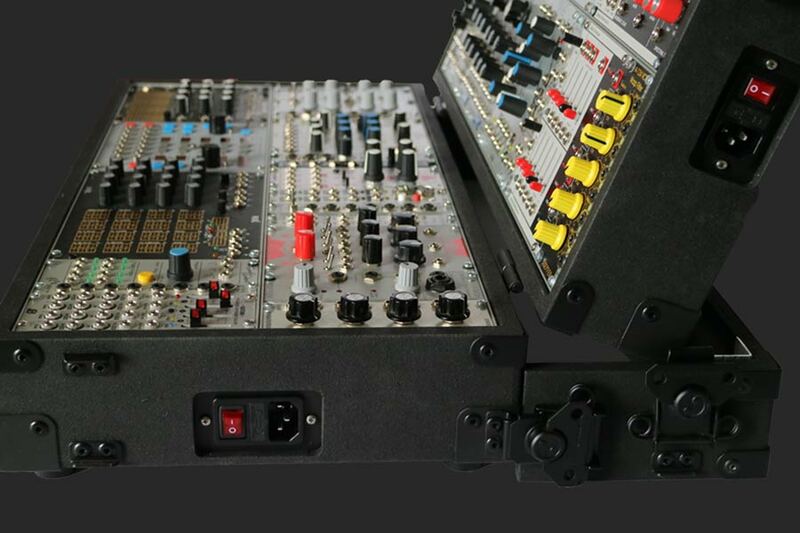 2x Doepfer PSU-3 or 2x Meanwell RT-65B power supply (choose in order proces). 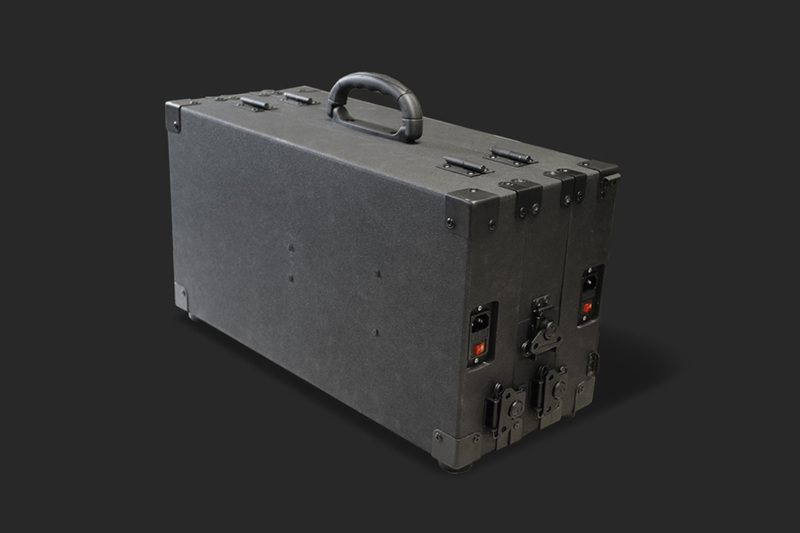 The PSU3 is a strong power supply for Eurorack modular systems. It is universal i.e. 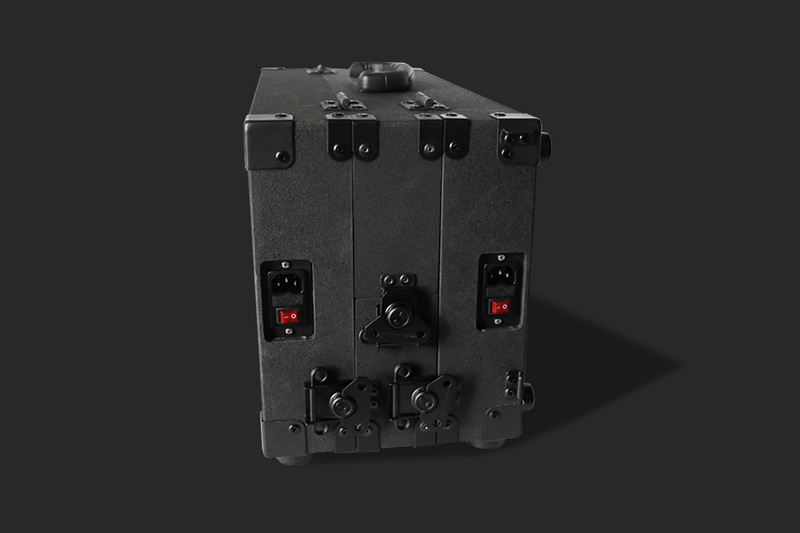 it works with a wide range of mains voltages, from 100V to 240V. 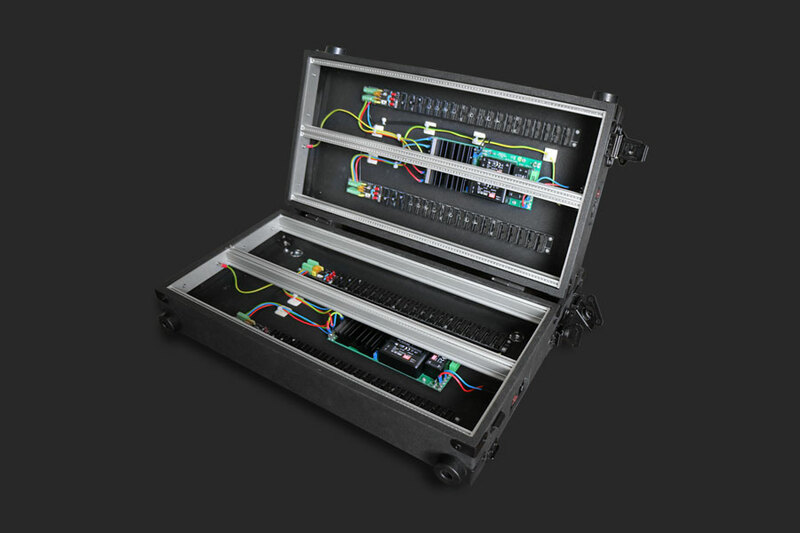 Up to four bus boards can be connected to the PSU3. Since early 2016 it is used in most enclosures and complete systems from Doepfer. Compared to it’s precursor with a toroidal transformer it supplies you with more current at +12V and it generates four Ampere at +5V! The closed design and the short circuit and overvoltage protection are the properties that make the industrial MeanWell switching power supplies stand out.